This is our second installment in the "Publishers" series. This week I've been talking about publishers that really stand out to me as producing consistently good reading materials. 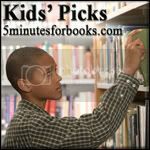 Today I'm going to combine my publisher highlight with the Kids Pick Carnival at 5 Minutes for Books because, well, books by Sylvan Dell Publishing, are consistently ones that my kid picks! I've talked about them before. A few times. Once or twice. The reason that they are so well loved in our house is because they are all about animals and when you are three and completely fascinated by the animal kingdom, they provide plenty to learn from. 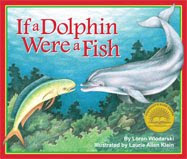 One book from Sylvan Dell that we pull off our shelves with some frequency is If a Dolphin Were a Fish . 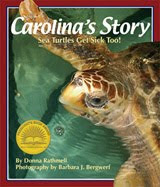 Bookworm1 has a great fascination with ocean life and he requests that we read about Dolphina quite often. This book has sharks, turtles, and even an octopus and they are all compared to a dolphin. He loves comparing animals so this particular book is right up his alley. 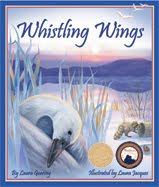 We've read this book so many times that Bookworm1 has it memorized and could read it all by himself. Instead he just throws out words from time to time as we read it aloud. Great book! 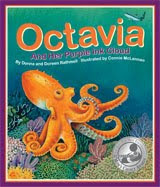 Octavia And Her Purple Ink Cloud primarily teaches children about how animals camouflage and hide themselves from predators. Octavia is working on shooting a purple ink cloud but keeps accidentally squirting other colors. She practices a bit and in the background in the illustrations you can see a shark approaching. It turns out it is a good thing she practiced her ink shooting. It comes in handy just in the nick of time! The illustrations by Connie McLennan are brilliant. Her use of colors makes the ocean and the creatures within come alive. One thing to note about Sylvan Dell is that they have a fabulous list of illustrators that they use. We've never been disappointed by what we've seen in their books. Everything is detailed and yet bright and bold. 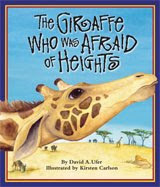 They illustrate animals that you and your children both want to look at and that's saying something! 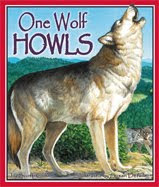 Reasons Bookworm enjoys books by Sylvan Dell: Animals. Animals. Animals. Need I say it again? Animals. 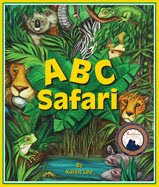 Reasons Mommy enjoys books by Sylvan Dell: They educate about the animals at a level where Bookworm1 (age 3) can engage with the book and comprehend what it is saying. Each page spread has about 1 paragraph of information on it and the books tell a story. For example, on the case of Octavia we meet an Octopus who keeps making silly mistakes and shooting different colors of ink. However, the point is made very clearly that the way an octopus hides itself and escapes from prey is to shoot the ink in the first place. So it's a fun read, plus we've learned something. That is how all of Sylvan Dell books are -- consistently! Furthermore, Sylvan Dell has been working really hard to update their website with resources to help parents and educators use these books effectively with children. They have a section of free resources available to parents and home schoolers on their website which includes free audio books, arts and craft ideas and interactive quizzes. Children can also join their Book of the Month club and read some of their books in e-book form (for free!) online. Take a look! I think you'll like what you find. I hope that they'll be around for a long time and trust they will be with books like these! Thank you, Sylvan Dell, for your commitment to excellence. View the first installment of my Publisher Highlights by clicking here to read about Kregel Publications. Thanks for visiting. These seem like cute reads. Those look like beautiful books! As a picture-book reading parent, I really appreciate good artwork or photography (as I mentioned in my own post today). I'm back. I was just looking over Sylvan Dell's site. O. MY. WORD. We just took "A Day in the Salt Marsh" back to the library. Sadly, I ran out of time to read it. 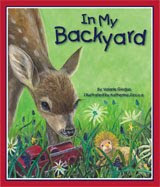 Sylvan Dell has a 54 page downloadable activity guide!! Talk about a home schoolers delight. I think I need to check out the book again just so we can do some of these activities!! These books look GREAT - thanks for spotlighting them! Really, Carrie? You like Sylvan Dell? I had no idea. Yes, these look like fantastic books made just perfect for your little guy. Thanks for sharing the love!! Thank you thank you thank you! So glad you loved our books, Carrie! Nice to see someone highlighting the educational activities. They are such a big part of our company. Keep up the great work! Yeah for Sylvan Dell! They're a great publisher I agree. There books are AWESOME!